Many gamers were distraught when Rockstar announced that Red Dead Redemption 2 would be delayed out of 2017. 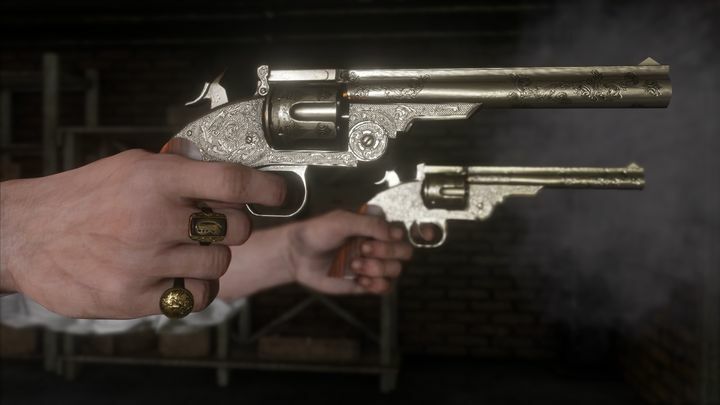 After all, the open-world cowboy video game is one of the most eagerly-anticipated video games ever, being itself a sequel to one of the best video games to have hit shelves in the last decade. This is because Ubisoft’s Chief Financial Officer made it clear during a recent earnings call that the delay of Rockstar’s western video game would do his company good. “Clearly the fact that there is no Red Dead Redemption  is a positive for our fiscal year 2018” said Alain Martinez according to GameSpot. The Ubisoft CFO added that “the absence of that game is of course giving us a better window for the launch of some of our games”. Actually, Ubisoft is pretty upbeat about its game sales going forward, expecting these to jump by more than 30 percent thanks to the release of high-profile games like Mario + Rabbids: Kingdom Battle, and the new DLC the company will be putting out for games like For Honor and Rainbow Six Siege. Of course, the fact that Ubisoft’s eagerly awaited Assassin’s Creed Origins won’t have to compete with Red Dead Redemption 2 clearly is also a boon for Ubisoft. Also Far Cry 5, a game thematically similar to Rockstar’s cowboy epic (and another highly-anticipated Ubisoft property) will also not have to compete with Rockstar’s title at launch next February either. It remains to be seen, though, whether Ubisoft’s games are good enough in their own terms to sell well even without facing competition from a behemoth like Red Dead Redemption 2… Although we’ll know for sure whether the delay of Rockstar’s title really does give Ubisoft a boost when the French company’s new releases begin hitting shelves later this year and in 2018.